Organized by Institute of Social Safety Science (ISSS), Asian Conference on Urban Disaster Reduction (ACUDR) started in 2012 in order to widely exchange academic and social information on urban disaster risk reduction in Asia among related academic societies in the countries. 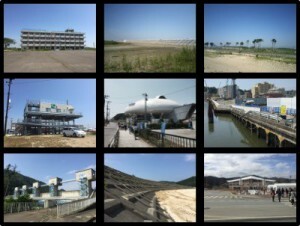 The first ACUDR was held in Iwaki City, Fukushima, Japan, in August 2012, not only to share research outcome but also to understand recovery conditions of the city seriously affected by the 2011 Great East Japan Earthquake and Tsunami, and a fruitful discussion took place among members of the Korean Society of Hazard Mitigation (KOSHAM), the Disaster Management Society of Taiwan (DMST), and ISSS based on the Trilateral Agreement of Cooperation. Since then, two ACUDRs were held in Taipei, Taiwan, in November 2014 and in Goyan, Korea, in November 2015. With the co-organizer, International Research Institute of Disaster Science (IRIDeS) at Tohoku University, ISSS is organizing the 4th ACUDR during November 26-28, 2017 in Sendai, Japan, as a side event of International Disaster and Risk Conference 2017 “World Bosai Forum.” It will be a good opportunity to see current conditions of the coastal areas affected by the 2011 Great East Japan Earthquake as well as sharing informative research outcomes presented by members of KOSHAM, DMST, and ISSS. Submission of ABSTRACT: 31 July 2017. Extended to 10 August, Secondly extended to 25 August. Notification of Acceptance: 7 August 2017. Extended to 17 August, Secondly extended to 25 August. Authors are invited to submit abstract of one page to the secretary by July 31, 2017 via email to: acudr@isss.info. Submissions must include the following contents: Authors name, Affiliated organization, Prefix, Email address, Position, Subject number, Paper title, and Abstract with purpose and major results clearly stated within 300-400 words. A specialized session on risk communication will be organized in the afternoon of 27 November. Interested authors are encouraged to submit relevant abstracts. Abstract must follow the Template of One-Page Abstract format. All speakers must make payment by 28 September 2017 to have their accepted papers included in the proceedings and scheduled for presentation. Co-authors participating in 4ACUDR are strongly encouraged to register before 28 September to take advantage of the reduced rate for 4ACUDR participants to the World Bosai Forum. The registration fee includes one symposium USB proceedings and one reception dinner. All the presenters and registered participants will be officially certificated with Certificate of Participation awarded by President of ISSS and Conference Chair immediately after the conference. The certificate in a pdf file will be sent to them by email. The registrants of the 4th ACUDR can participate in sessions, special programs, and other activities, including the opening ceremony prepared for the World Bosai Forum. We would like all participants to spend fruitful time in the events as well as the 4th ACUDR. ISSS will organize a one-day tour to see current recovery and reconstruction conditions of coastal areas affected by the 2011 Great East Japan Earthquake and Tsunami. Visitors will have the opportunity to visit new urban facilities, parks, and communities.